The Juno spacecraft captured this image when the spacecraft was only 11,747 miles (18,906 kilometers) from the tops of Jupiter’s clouds — that’s roughly as far as the distance between New York City and Perth, Australia. 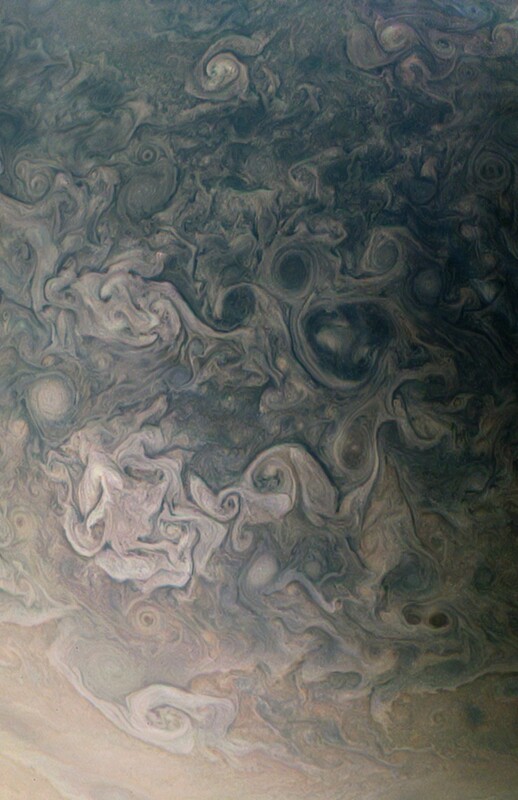 The color-enhanced image, which captures a cloud system in Jupiter’s northern hemisphere, was taken on Oct. 24, 2017 at 10:24 a.m. PDT (1:24 p.m. EDT) when Juno was at a latitude of 57.57 degrees (nearly three-fifths of the way from Jupiter’s equator to its north pole) and performing its ninth close flyby of the gas giant planet. The spatial scale in this image is 7.75 miles/pixel (12.5 kilometers/pixel). 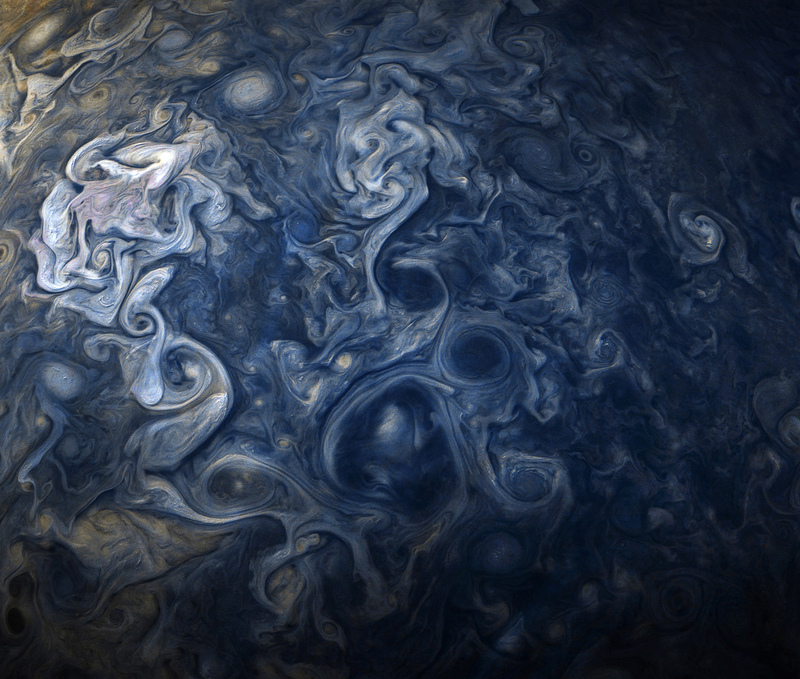 Citizen scientists Gerald Eichstädt and Seán Doran processed this image using data from the JunoCam imager. You can find the original here. Food for thought on an old debate.